Do you want to create a meaningful change in your life? Do you have a dream that you want to turn into reality? Inner Island retreat is a 10-day long transformative process to engender personal growth, with facilitated co-creative and holistic practices on a remote tropical private island. Inner Island is for those of you serious about transformation, and with readiness to make meaningful dreams come true through dedicated work. Inner Island is a combination of proactive planning workshop and a retreat of active rest and reflection with a likeminded peer group. The main intention is to transform your future intentions and your personal or work related visions into reality. Inner Island is a guided process designed to support shaping your own future. Inner Island provides ten consecutive days with six hours of daily program. The program consists of facilitated life planning workshops, guided yoga, meditation and inner guidance sessions and peer coaching. The sessions are conducted by experienced professional facilitators and teachers who will do their utmost to create the ultimate framework supporting your personal work. The boutique event hosts 20 participants in a safe space providing a structured process and peer-to-peer support. We start the day with a morning yoga session and close our days around a campfire. You will also have space to enjoy your own time and exploration with activities such as diving, snorkeling, and kayaking. The life planning processes are structured around four main development stages inspired by Appreciative inquiry & Proactive Planning methods. Look back to identify and understand your past successes. Familiarise yourself with your habits, strengths and positive values that brought you here. Create a realistic base for analyzing your current situation by tracking your strengths and weaknesses as well as the potential opportunities and threats you are facing in the future. The conclusion extracted from this phase creates the personal challenge you start to work with. Envision an attractive future by nurturing your dreams and ambitions beyond limits. If You believe that the future can be shaped by You, then why not create the most inspiring horizon right from the get-go? After this phase, you will have an inspiring vision which guides a clear and meaningful direction. In this stage, you will develop various ideas of ways and approaches to reach your vision. You will acknowledge your contexts and stakeholders, and You will create the real-life next steps and stages transforming your vision into reality. You will be guided and coached to create a concrete plan of how to proceed from your current situation into your desired future. Getting things done. This phase asks you to define and commit to a pilot project - the very first milestone of your journey towards your goals. The real-life pilot project is built on upgraded understanding of habits, confidence and proactive dedication to reach the measurable outcomes. The participants are encouraged to keep in touch with each others and to continue providing peer-to-peer support in the pilot project phase followed by the retreat. Inner Island takes place at a pristine beach location which is a part of a 70-hectare private tropical island in Raja Ampat, located in the West Papua province of Indonesia. The location is chosen to provide secludedness, stillness and natural beauty to support your reflection and contemplation. Participants will be accommodated in over water and land-based bungalows by the beach. Each workshop day includes three healthy vegetarian or pescatarian Indonesian meals made by local chefs. The retreat is guided by experienced teachers and facilitators providing you a safe and inspiring space to super charge your development. Henrik designs and leads processes for organizational and personal transformation that empower people to envision their future, manage change and create the forward movement to manifest visions into reality. Henrik is the founder of Fantastic Studios and Camp Andaman retreat and has been involved in various transformation projects for private clients and organisations like Hyper Island, Greenpeace, LEGO, IKEA etc. Click here to read more about the facilitators. Iituli Aalto is an advanced Inner Guidance facilitator, certified Yoga teacher, and intuitive body therapist. Iituli started her path with yogic arts in 1998 and since then she has been continuing a lifelong practice and exploration in the world of healing arts. Her gift is to get people in touch with themselves, empower and open the field of intuition and the unknown magical zones in life. Amir Jaan is one of the undisputed masters of Kundalini Yoga’s young generation. He is now Senior Mentor for hundreds of students. He has taught for more than fifteen years across all four corners of the globe. Amir's broad knowledge and experience make him a powerful teacher, able to assist anyone and everyone in their yoga practice. Risto Kuulasmaa has worked as an entrepreneur and executive in media, events and entertainment. He is the co-founder of Tubecon influencer event network active in 10 countries in Europe. Risto also advises startups and volunteers as UNICEF Finland board member. Risto is working with the Inner Island communications and the home page. In Inner Island Risto will lead the final Delivery module of the workshop supporting participants in the pilot project planning phase utilising his background as a coach, business developer and communicator. Inner Island Retreat is a follow up to similar successful workshop organised four years ago by the current core organisers Henrik, Iituli and Risto. 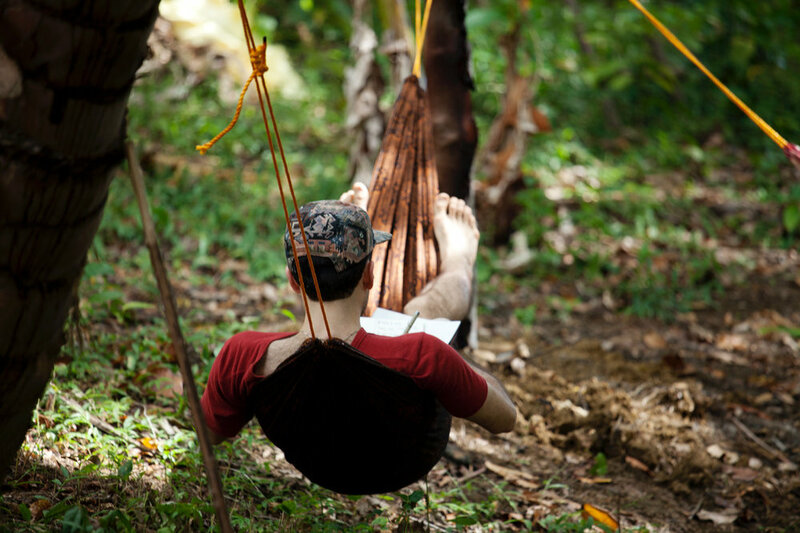 Camp Andaman was a 10-day long transformative event combining personal growth process and facilitated co-creative and holistic practices on a remote tropical castaway island location in Andaman Islands. The ten day long retreat was held on Dec 27th 2014 - Jan 5th 2015 and gathered 20 participants from six countries.